Liz's Paper Loft: My Creative Time's August Stamp Release Blog Hop! 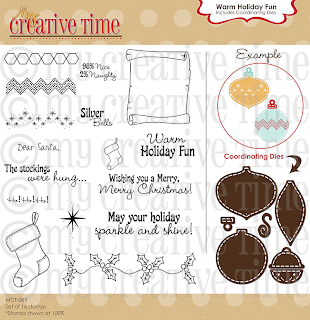 Today I wanted to show you just how adorable Emma's tag dies go with everything! I used a small glassine bag from my Boutique to hold the tag die! 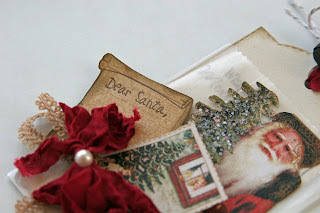 First I stamp the scroll stamp, cut it out, then stamped "dear santa". Added some glitter to the tree, attached a crinkled seam binding ribbon, beige picot trim, and a cream pearl. Lastly I stamped the sentiment on the tag die and tied seam binding ribbon, 3/8" jute ribbon, and metallic 1mm hemp with a bell. I love that this could be used by itself as a gift card holder or attach it to a card base! For this card I did some stitching and embossing for the sentiment. Also used the bell die with the bow for some added "bling"! I just adore the little bell dies!!! Micia ~ http://yellowbirdcreation.blogspot.com/ YOUR NEXT STOP! Beautiful card and tag. Love the old world feeling. Beautiful Tag Love how they look so vintage and elegant. Just beautiful!Love how you made something so classic and vintage. 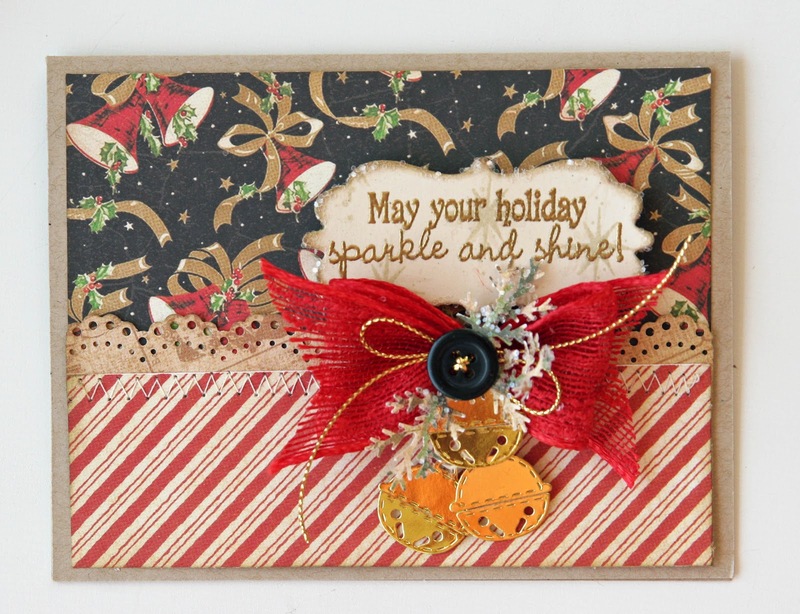 Wow Liz, beautiful tag and card, thanks for sharing and all the ideas in this release!!! Ooh..that tag is so very cute! I love how you cut out the scroll stamp...very creative! Awww ... That card and tag is so precious :). I love the style of your tag and card! JUST BEAUTIFUL! wow beautiful! works of art!! Lovely projects, love the tag! WOW Liz!!!! These are gorgeous!!!! Fab projects ALL weeks, packed with TONS of inspiration!! 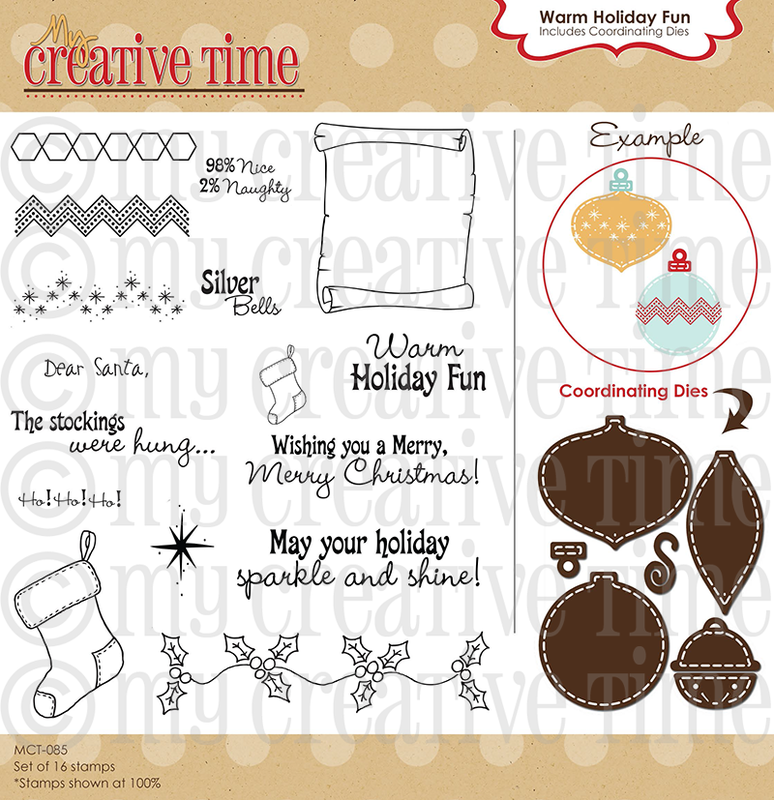 !Loving this new release and so super excited to get my new stamps and dies!!!! Wow, wow, wow! That tag is gorgeous! I also love the card too! You are motivating me to make my own cards for Christmas. Liz ~ OMG! 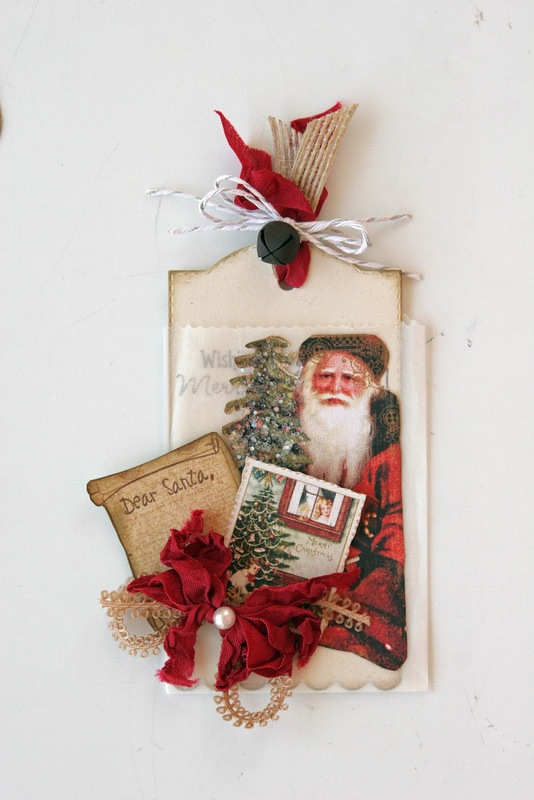 I LOVE that Santa card ~ TOTALLY GORGEOUS and BEAUTIFUL! Oh the tag is too! Seriously so ELEGANT looking with the most BEAUTIFUL details! WOW!!!! I have to say ~ I LOVE your porducts too!!! Awesome job!!! Talk about gorgeous. I love the card/tag it is just really really pretty. It looks so "vintage" stytle. Great job. just beautiful!! I love how you put the tag in a little baggie! I love the bells too! awesome job!! I have enjoyed everything I have seen all week! you guys are amazing! thanks!! Great projects Liz ~ I love this new release - yikes, all of it!!! Just adorable, love the Santa and how you used the bag. Great projects! Love your tag, super cute! Liz - your card and tag are gorgeous! thank you for sharing and have a wonderful weekend. Beautiful projects! I love how you used the bag on the tag. Oh my, love your idea with the tag!!! Fabulous. I love the tag it looks so vintage!!! Thanks for sharing!! Gorgeous, Gorgeous, Gorgeous!! You did a great job! Great detail on both the tag and the card. Very nice work. I just love the affect you got. All the trims have me drooling. How beautiful! Love the use of the Dear Santa. Liz, your tag is the cutest thing ever! I love all of the texture on it! Your card is gorgeous too! You are SO GOOD with fibers!!! Love the scroll on the tag! That is going to be one of my favorite stamps to use! TFS! Gorgeous vintage designs with this set. Love how the bells hang as embellishment too. 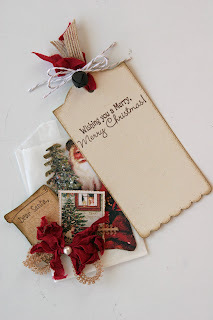 Love your Christmas tags and all the great details. Your tag and cards a fantastic. I agree with you about eh bell dies.You have done an excellent job showing off the new release! 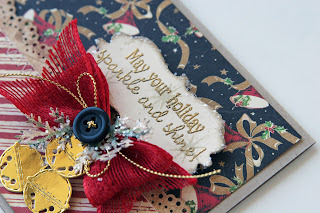 Very pretty tag and card, love how you used the dies and stamps!! Your projects are gorgeous (as always!). Great job. WOW I LOVE THESE SO MUCH LIz! Love the vintage feel to them!! I am so getting this paper!!! LOVe G45!! You did amazing! And the glassine bags are perfect for Emma's tag! Really great project. Love the little added steps you did like glittering the tree. All the little details combined to make a wonderful project. Oh my goodness..I was trying to be thrifty and not buy everything I saw since they were all so cute! But I think you convinced me that I have to have the 3x3 card &envelope bundle!! Love your projects!! love the tag. The embellishments are great. All I can say is GORGEOUS!!! Love them. TFS. Gorgeous is right! Absolutely stunning. The tag is out of this world. So intrinque and unique! Love your store! I just love both your projects. So, so pretty. Thanks for sharing. Just popping by to say Hi. We're in the Trend Spotting class together. Love your tag. What beautiful and classic designs! They are absolutely gorgeous!! So pretty! Love the elegance of the traditional Christmas, TFS Liz. liz, these projects are awesome and so are emma's stamps too. Wow!! Really gorgeous tag!! Your card is sooo beautiful! Very beautiful tags. Thanks for sharing. I LOVE your tag! It is really beautiful! Great tag and card! Thanks for using the bell die -- I completely missed it and only noticed the ornament dies. TFS! I have enjoy this week. It's been awesome! These are absolutely BEAUTIFUL Miss Liz!! I really love the old Christmas feel to them. Awesome work showing how these stamps can work with this kind of project. Love it!! Great tag and card! 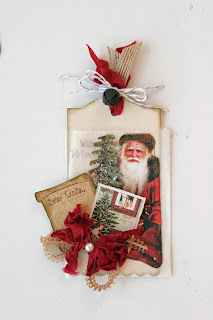 I love the vellum you used for the tag and the decoration for it! Just beautiful! Love the jingle bells. Loved the tag--so cute! Thank you for the inspiration. Oh my word, that tag is gorgeous! I love how you used that scroll. wow...just amazing! The tag is super cute! FAbulous tag and card. I like the glitter on the tree. That scroll had YOUR NAME written ALLL OVER IT!!! ;) Your tag is BEAUTIFUL!!!! I love that Santa scroll-great projects! WOW...that Santa tag is amazing. It's beautiful! I love it! Love the card very classy esp with the stitching!!! Awesome card and tag with bag! Love all the details, and all the layering of embellishments. Love the vintage look you created. Liz the tag and the card are amazing. Both project look very elegant. Thanks for share! Love the tag and card. These stamps are wonderful and I can't wait to order some. Thanks for sharing. These are absolutely beautiful! Great job! Your card is stunning! Nice job.